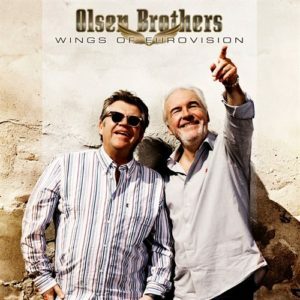 The 2000 Eurovision Song Contest winners Olsen Brothers celebrates the 10th anniversary for their victory in Europe’s most popular TV show by releasing an album with cover versions of other Eurovision songs. The album also includes a new version of their winning song. This year it is 10 years ago the Danish duo Olsen Brothers won the Eurovision Song Contest. They are celebrating that with the release of an album that will attract many fans as it contains cover versions of 11 Eurovision songs plus new versions of their own Fly On The Wings Of Love and Smuk Som Et Stjerneskud, the Danish version of their winning song. The album also features other Eurovision participants as guest stars. These are Lill Babs, Nicole and Alan Sorrenti.